It was a beautiful fall weekend in Boulder, Colorado for the U.S. Open of Cyclocross at Valmont Bike Park and the racing action was incredible. For those of you that don't know, Valmont Bike Park was designed several years ago and is one of the first purpose built bike parks in the United States. 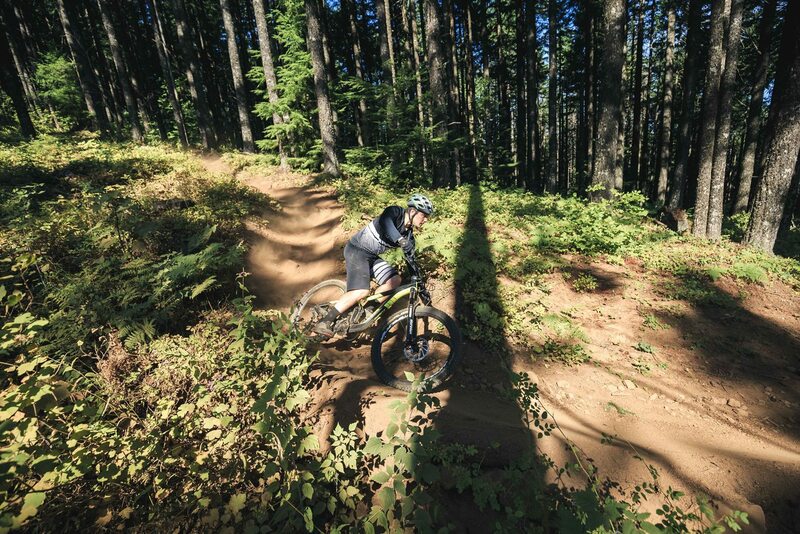 It features 42-acres of riding terrain and was designed with two permanent cyclocross specific staircases and sand pits. Donnelly Sports is based in Boulder and it was awesome to have the entire team racing in our backyard! "Did I win?" a breathless Jamey Driscoll asked team photographer Meg McMahon after he crossed the finish line in Boulder on Saturday. It was close, very close, but thanks to strategic last lap tactics and sprinting skills, Jamey took home his first big UCI win of the season! "It feels great to get the monkey off my back. " said Jamey. "I've been knocking on the door and today the pieces fell into place." Sunday's race was going well for Jamey until a late race crash knocked him out of the main group. He still finished 5th on the day. "My family was able to make it out from Utah, which made the win on Saturday that much more special. My daughter is the best podium girl I would ask for!" "This weekend was certainly not my best showing. Saturday went really hard from the gun and I found myself redlined and unable to recover as I normally would," said Lance Haidet. "Between that and crazy winds I was really struggling to find my rhythm out on course." On Sunday Lance was looking for a little redemption. "I got a great start and felt comfortable at the front for the first few laps, but unfortunately a mechanical dropped me from the front group." Lance would fall back into the mid-pack, then claw back to finish 6th on the day. "I thought the courses were awesome. 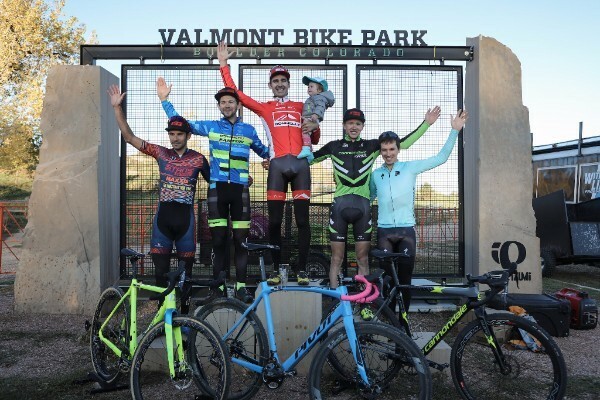 I always love it when a track has something special that really sets it apart from other races," said Lance about Valmont Bike Park. "It made for some really interesting racing." 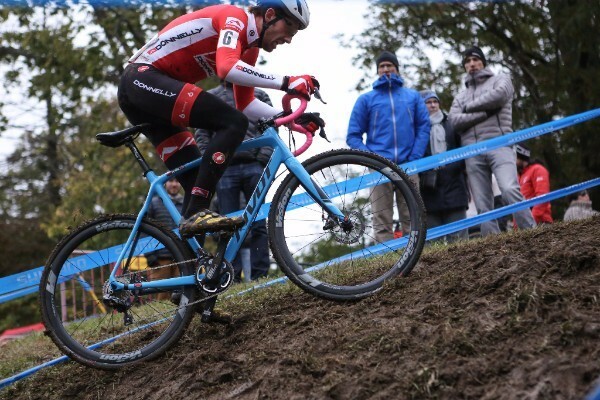 Next up for Lance is also the Cincy CX UCI weekend where he will look to mix it up with the men's elite group. Then the following weekend it's off to Louisville, KY where he is laser focused on winning the Pan-American title in the U23 race. It was a weekend filled with highs and lows for Laurel Rathbun with Sunday’s race was notably better than Saturday. "It was incredible to have family and long time friends out there cheering for me," said Laurel. "Even though I don’t live in Colorado anymore it still felt like home-field advantage with all the encouragement." In Saturday’s race Laurel took the holeshot, "I had a great start and was leading for a bit then took myself out in a downhill off-camber corner." After regaining her rhythm she was able to finish strongly with a 12th place finish, just a few seconds away from a top-ten result. On Sunday Laurel started off well again and slotted in with the lead group for most of the race. As the race progressed there was lots of reshuffling and she found herself in a tight battle for 5th. "My race came down to a sprint for the final podium spot. I needed the finishing straight to be just a little bit longer. Bummed to have missed the podium both days, but happy to have stayed strong mentally throughout the weekend," stated Laurel. "Each race seems to be getting better for me and I’m really looking forward to the upcoming races!" Like the rest of her teammates, Laurel will be taking the weekend off to prepare for the big UCI races Cincinnati and the Pan Am Championships in Louisville. Both races are only about an hour and a half from where she lives in Indianapolis. She'll be looking to collect more UCI points at the C1 race in Cincinnati and reach the top step of the U23 podium at the Pan-Am Championships in Louisville.